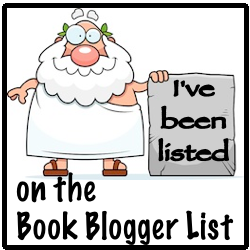 Welcome B2B CyCon readers, authors and publishers to my author blog! You’ve reached the next stop in the B2B CyCon Fantasy Blog Hop Hunt. On March 10th, Mackenzie released the first book in her exciting new young adult fantasy series titled The Rite of Wands published through BHC Press. Her book has already gathered hype and received some incredible reviews! Mackenzie recently gave her fans the opportunity to ask her questions about writing and The Rite of Wands. Learn about what all the hype is about by following along! One boy…one Rite… And a world of deadly secrets that could change the course of history—forever. And so begins the tale of Mierta McKinnon. When a horrible fate reveals itself during his Rite of Wands ceremony, he must find a way to change not only his destiny but also the land of Iverna’s. Forbidden from revealing the future he foresees to anyone, he is granted a wand and his magical powers, but still must master the realm of magic in order to save himself and those he loves. But Mierta is not the only one with secrets…especially when it’s impossible to know who to trust. Question: What is the first thing potential readers should know about The Rite of Wands, that will draw them into the story? Mackenzie: That’s a great opening question! I would say it’s the fact that witches and warlocks in the world of Iverna are not born with their magical powers. They must endure a harrowing ritual, named after the title of the series, in order to receive them. Question: Where did you get the idea for your most recent book? Mackenzie: I wouldn’t say I came up with anything, it more like came to me! When I’m traveling, I often stare at road signs to see if I will come across any names that just kind of jump out at me, and this one particular sign did more than just that. It gave me a story! Question: How long did it take you to write The Rite of Wands from idea to publication, and a general timeline of each stage of writing. Mackenzie: Oh gosh! I actually started writing The Rite of Wands thirteen years ago, and it honestly looks nothing like what I had originally envisioned. It is sometimes hard for me to believe it was even the same story! The problem was I kept finding issues that needed to be fixed, so I would do re-write after re-write after re-write. It honestly became like an obsession to me. Fall of 2015 is when I technically started forming the book into how it appears now. I submitted a portion of my novel to BHC Press in March 2016, and by November, I was in the beginning stages of editing. I spent the next three months expanding my novel and by the end of January, my novel was submitted to my publisher. Question: What made you decide to write a YA novel? Mackenzie: That’s actually an interesting question because I wasn’t intending on writing a YA novel. My intention was to write for those who grew up with Harry Potter, but as the book evolved, I started to feel it was actually more appropriate for YA. That was validated when my editor said the same thing! Question: Who is your favorite character to explore throughout the series? Mackenzie: This will probably come across as bias, but it would be Mierta. I find myself having to be loyal to this character because without him in all honesty, The Rite of Wands wouldn’t have ever been finished. In majority of my rough drafts, this character was completely omitted. In fact, he only starting to appear about 3 years ago when I imagined him to be completely different than he actually turned out to be. For example, I originally called him Girard, and he was mostly in the background, having others perform his dirty deeds. To quote author Rachel Aaron, if there’s a problem with your book it usually is your bad guy. And that statement is so true! I discovered Girard wasn’t the bad guy. The problem was he needed a “face” and a new name. I am one of those people who believe that people come into your life for a reason. I can honestly say if I hadn’t gotten the opportunity to meet actor Matt Smith at Wizard World in Chicago, IL, back in 2014, this book would be still sitting somewhere in my writing office unfinished. Matt has some kind of “magic” about him, I can’t really explain. But whatever it was, seems to have cast a spell on my muse. So, instead of fighting it, I went with it, and turned Matt, so to speak, into a wizard, and thus Mierta McKinnon was born. And you know what? Wizards are cool! Question: What is the hardest type of character to write? Mackenzie: For me, it probably was Orlynd because of his very strong Scottish burr. I wanted him to sound different than everyone else to emphasize him being an outsider. I also did it to poke fun about a Scottish actor who was accused of mumbling when he starred on television series in America. He actually never mumbled, the problem was the audio on the show was overpowering! I was also inspired by the dialect found in Irvine Welsh’s series, Trainspotting. The entire book is written that way so it’s not an easy book to read, but once you understand that everything is written out phonetically to emphasize the dialect, eventually you get used to reading it, therefore you can write it. Question: Who does your editing? Mackenzie: My editor is the amazing Lisa McNeilley. She is actually CEO of Writer’s Alley, which is dedicated to evolving into a full service writing center that will serve the needs of students, professionals, teachers, parents and writers. She really helped me develop my vision by helping me understand what young adult readers may think or come to expect. Question: Tell us about the cover… Who designed it? What was the process like? Any cute little tidbits that tie just right? Mackenzie: My cover was designed by my publisher, BHC Press. When we were first discussing ideas for the cover, they gave me a questionnaire to fill out, which helped them understand my vision. I really honestly only told them one specific instruction as a requirement – put my wand on the cover! I wanted fans to be able to associate that wand with my series. An interesting tidbit is that wand, in fact, was hand-crafted exclusively for my series by Magical Alley – Wand Makers, located in the state of Washington. I wanted something I could remember the series by, and I couldn’t think of a better way, than by having a replica of my main character’s wand. I thought that would be extremely cool to have Mierta’s wand as a souvenir! Another interesting tidbit is the character, Mierta, was inspired by English actor Matt Smith. What’s really awesome is I had the pleasure of meeting him at Wizard World Cleveland in 2016 and not only did he sign that wand, I got to watch him briefly play with it, and he acted just like I imagined he would. Question: I have been admiring your marketing. Do you find it has cut into your writing time and how have you managed that aspect? Mackenzie: OMG, yes! Authors I know who have published books warned me that it was like having another full-time job, and it really is. Nothing really can prepare you for what to expect as an author when it comes to how much you have to put into your marketing. It’s even tougher as an indie writer, in my opinion, because you’re essentially a nobody, and have to quickly adapt in order to be something. I have honestly not been doing that great of a job lately managing my time when it comes to writing. What readers may find interesting is I have a full-time job as a phone bank representative. Lately my days have consisted of getting up, working on marketing, going to work, and then coming back home to continue working on marketing till about 4 in the morning. I get a couple hours of sleep and then do it all over again. However, I have started a couple writing projects, including the second book in the Rite of Wands series. Question: Which is mightier? The pen or the wand? Mackenzie: That’s a really tough question! As much as I want to say the pen, I have to go with the wand! I mean not many authors can say they had their wand signed by the actor that inspired their main character – it’s something permanently infused with inspiration. I want to thank you again for stopping by! Please stop by my booth on Goodreads to learn more about me, my novel, enter some contests, and just have some fun!